Set amongst beautiful ‘Darling Buds of May’ countryside of oast houses and picturesque villages, it has a host of beautiful gardens, historic houses, National Trust properties, steam railways, award-winning vineyards and unique attractions all waiting to be discovered. There’s also a lot on offer for those who enjoy outdoor pursuits such as walking, cycling and golf as well as great places to relax for those preferring something less active. There are also many excellent places to eat and drink with plenty of delicious Kentish produce on the menu. Ashford’s high-speed train service means London is only 38 minutes away. Ashford also boasts excellent motorway links (M20/M2) and is just a short distance from Dover, the Channel Tunnel and Canterbury. Why not combine your visit to the area with a trip by Eurostar to Paris, Brussels, Lille, Lyon or even further afield to Marseille. 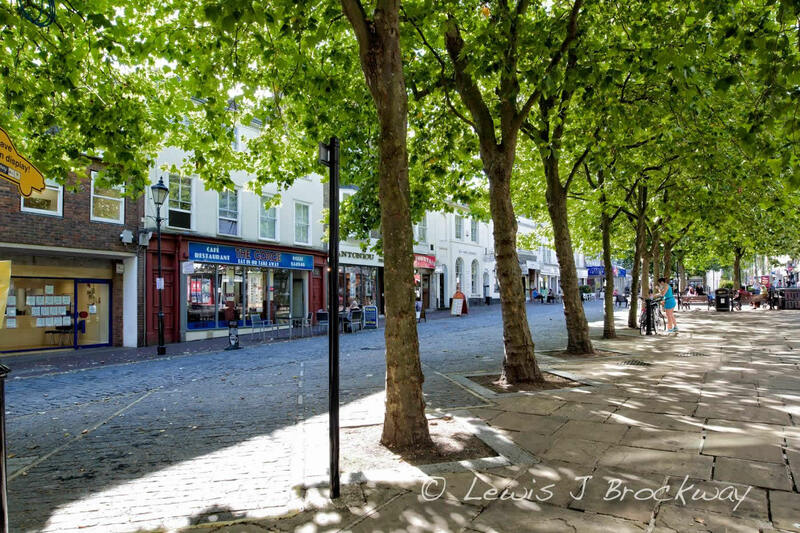 Ashford – where the traditional market town meets the vibrancy of a modern international gateway and the old and new sit easily alongside each other. The narrow alleyways of Middle Row feature mediaeval, Georgian and Jacobean buildings, while the historic churchyard, surrounded by weather-boarded cottages, remains a tranquil green oasis. Here you’ll find the local museum, built in 1635 to house Ashford’s first Grammar School, and the 12th century church which hosts top international artists with its Revelation Ashford series. The town’s rare World War 1 Mark IV female tank sits proudly in nearby St George’s Square. 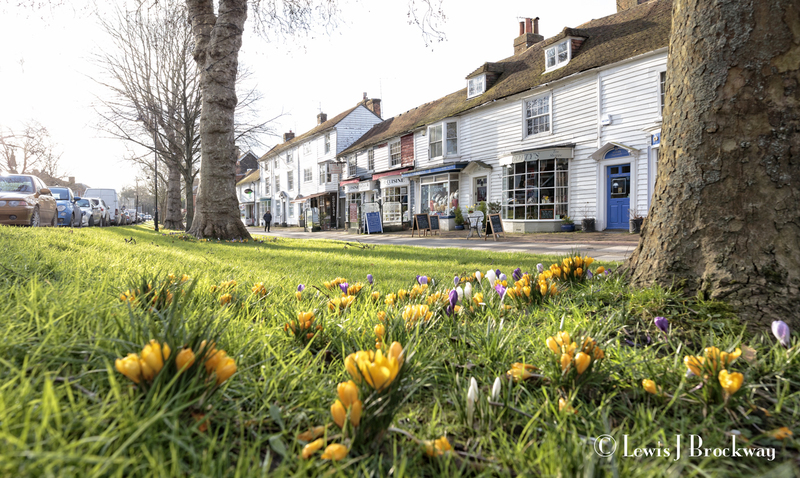 Known as the ‘Jewel of the Weald’, Tenterden offers the best of all worlds – fascinating history, a wealth of architecture, family fun and excellent shopping – all within everyone’s idea of a typical country town. It’s also home to the steam trains of the Kent & East Sussex Railway. At its centre are the tree-lined greens that distance you from the world going by. So you can shop at a relaxed pace, browsing in a range of quirky independent stores and experiencing shopping as it used to be. It’s just the place to find that special gift, local craft or antique. Historic Georgian buildings share the streets with tall Victorian houses and tiny cottages; brick and stucco blend easily alongside traditional Kent tile and weatherboard, creating a unique timeless air. For extra reassurance all the properties are either quality assured, are in the process of seeking quality assurance or are signed up to the Ashford Tourism Charter. Being part of a quality scheme means that the accommodation has either been assessed through the star-rated National Quality Assurance Scheme or the Kent Accommodation Scheme (KAS). In both cases accommodation is visited annually by an independent assessor. The national scheme, operated by Visit England and the AA, assesses the quality of the property and awards a one to five star rating. The Kent scheme, operated by Visit Kent, checks legal compliance and the standard of cleanliness and maintenance. The Ashford Tourism Charter is operated by Ashford Borough Council. While not an inspection scheme, the charter requires accommodation providers to confirm that they comply with all the relevant legislation such as planning and health and safety. Prices shown in the hotels and bed & breakfast section are for bed and full English breakfast (inc. of VAT, where applicable) per room per night unless otherwise stated. Prices for self-catering are per unit or per pitch per week and will vary dependent on the season. All the properties can be booked directly with the individual provider or by visiting or calling our Tourist Information Centre (TIC). Church Road, Ashford, TN23 1AS. Some providers have received the Visit Britain Accessibility Grading – Mobility M1 to M4, Hearing H1 to H4 and Visual V1 to V4. Those that have not been assessed are still able to cater for visitors with particular needs – look for the wheelchair symbol and contact the provider before booking.